Canon cashback runs from March 14th to May 15th 2018 inclusive. Claims for Spring cashback must be made no later than16th June 2018. Please note that some items are eligible for both Canon Spring Cashback and the Canon Lens Reward promotion. There are two separate claims procedures to follow online. 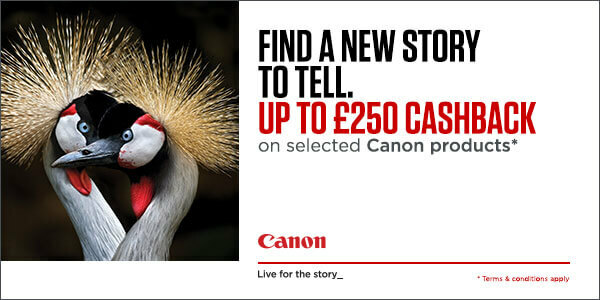 Please ensure you claim both the Canon Spring Cashback AND the Canon Lens Reward Cashback if buying an eligible product. This will be highlighted in the “promotions” section on Value Kits where both promotions are applicable. We have created a guide to help explain the Canon Lens Reward promotion. Alternatively, please contact us and we will be happy to help. Please let us know all the items you wish to buy so we can make sure we give you a summary of any promotional activity.